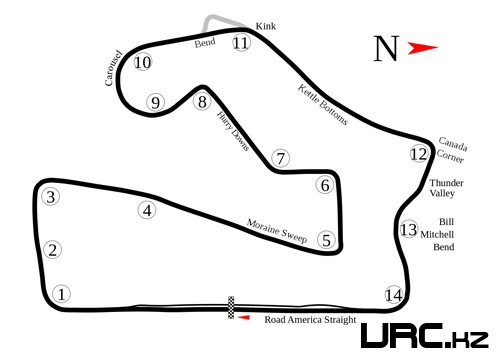 Road America is a road course located near Elkhart Lake, Wisconsin on Wisconsin Highway 67. It has hosted races since the 1950s and currently hosts races in the NASCAR Xfinity Series, Tudor United SportsCar Championship, SCCA Speed World Challenge Series, ASRA, AMA Superbike series, and IndyCar Series. Open-wheel racing journalist Robin Miller says that Road America is "the best test of road racing in North America".